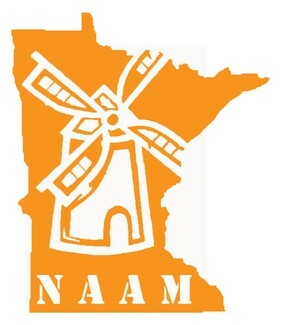 NAAM Dutch Club 2019: Festival of Nations May 2-5-2019! Festival of Nations May 2-5-2019! For nearly 85 years, the Festival of Nations has inspired people throughout the region to discover more about our world and embrace the rich cultural diversity brought to us by immigrants from around the globe. In 2019, the Festival will continue its legacy as the longest running multicultural festival in the Midwest and, once again, collaborate with more than 90 ethnic groups to create a truly unique experience – one that celebrates cultural heritage and provides our community’s immigrants with a platform to express their stories through world-class performances, exhibits, ethnic cuisine, and personal connections. This Festival is NAAM's only fundraiser and we can't do it without you! Please find the schedule and available positions below and consider joining us for a few hours in the Cafe or Exhibit. All volunteers will receive a complimentary entree ticket and a cream puff. We will update you on parking information as soon as it is available. At sign up, you will be asked to login and enter your name and email address. You will receive an email reminder two days before your shift. Please give us your phone number, so we can reach you at the day of the event if necessary. Neither your email or phone number will be displayed publicly. Children between ages 10 and 13 can volunteer in the Cafe and/or the Exhibit only when accompanied by an adult. Teens ages 13 and older can volunteer independently. Please mention the age of volunteering children in the comments. Children between the ages of 10 and 13, who would like to make Poffertjes at FON, are obligated to take the Poffertjes Class during King's Day (April 27) and earn the 'Poffertjes Bakker' Certificate. The Festival of Nations requires all volunteers in the Exhibit and Cafe to wear a traditional Dutch costume. Costumes are provided in various sizes at the Festival. Thank you for making the Festival of Nations a success for NAAM! Must be 13 or older to volunteer independently. Must be accompanied by an adult if between 10 and 13. Please indicate age of children.